This cultivar with H. plantaginea in its background was registered in 1986 by Paul Aden of New York but the originator is now considered to be unknown. It is a large size plant about 20 inches high with a spread of 48 inches of shiny, medium to dark green foliage. The leaves are slightly rippled and have smooth texture. Pale lavender, fragrant flowers bloom in August. From the Field Guide to Hostas by Mark Zilis (2014), "Unlike many fragrant-flowered cultivars, it readily forms seed pods." 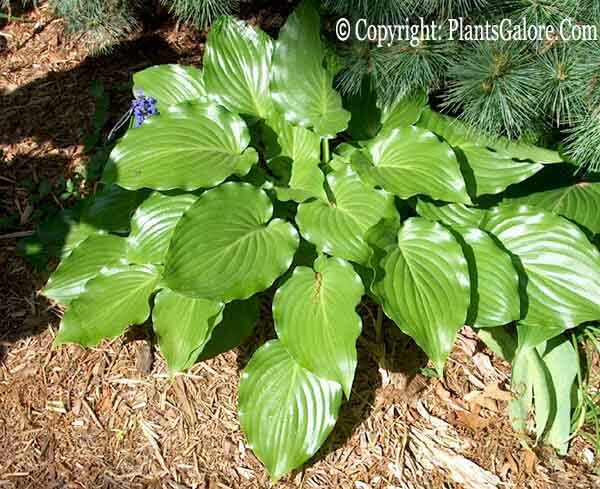 Mr. PGC Comment: We have seen this on two lists - hostas that attract slugs and hostas that resist slugs. In our experience, it depends on where you plant it. In a sunny, dryer location like the one pictured above, there was little to no slug damage. In a darker shade situation, the slugs did chew on it. 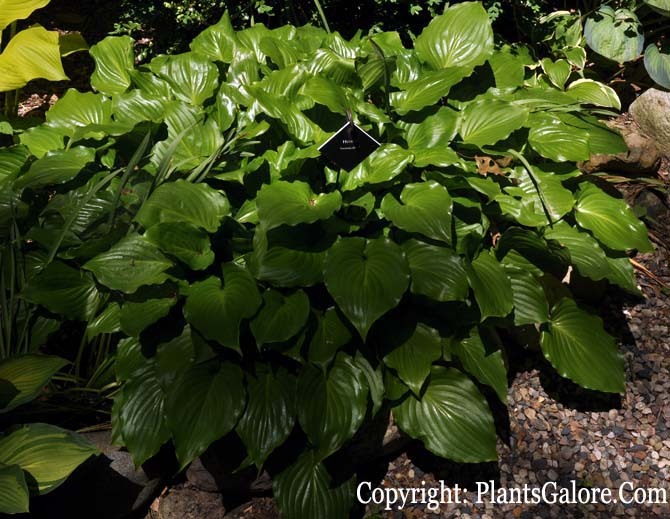 The New Encyclopedia of Hostas by Diana Grenfell (2009) states: "Has been known to have multibranched scapes in wet summers. Scapes are stained red where the leafy bracts are attached and immediately above the bracts. Occasionally produces hose-in-hose double flowers." In an article in The Hosta Journal (2016 Vol. 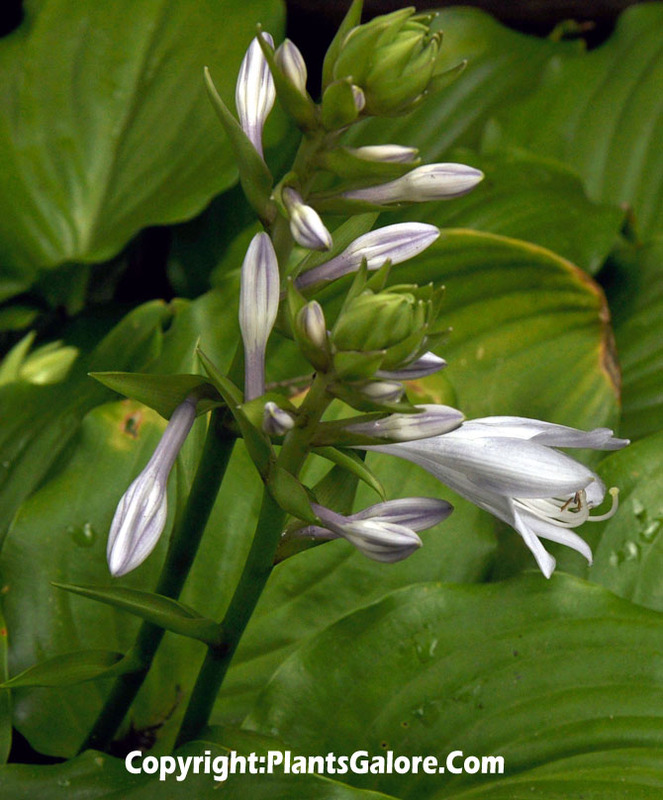 47 No 2), the author described this plant's flowers as having a "Weak" fragrance compared to other hostas.